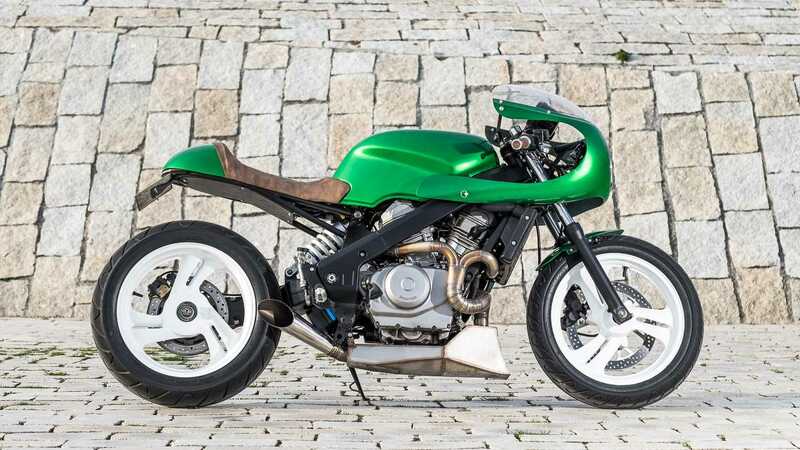 For this custom a very unusual donor was used…the Honda NTV650. 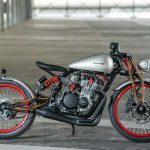 An ugly bike with no potential, at least that’s what most people say about it. Although it is ugly it has a very good reputation when it comes to reliability. It simply doesn’t break down! 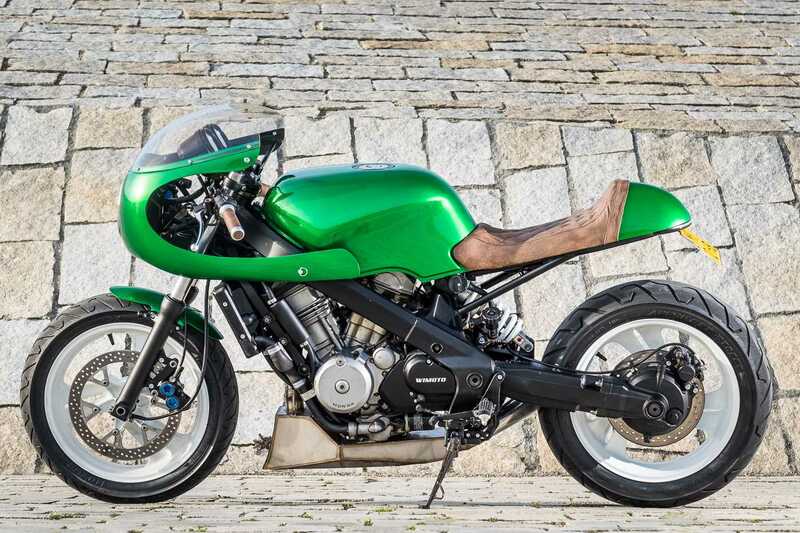 Quit a nice challenge to change this ugly duck into a nice custom bike…. 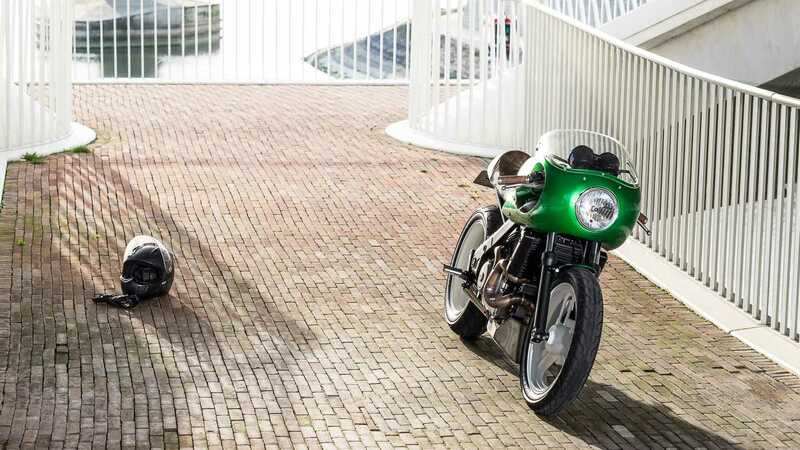 The initial idea was to rebuild it as a “scrambler”, a new seat, new handlebars and a scrambler headlight were placed but it didn’t have the desired effect. It still looked like an old ugly NTV650. Just for fun a half top fairing was placed as a tryout, this gave the bike a totally different look immediately. 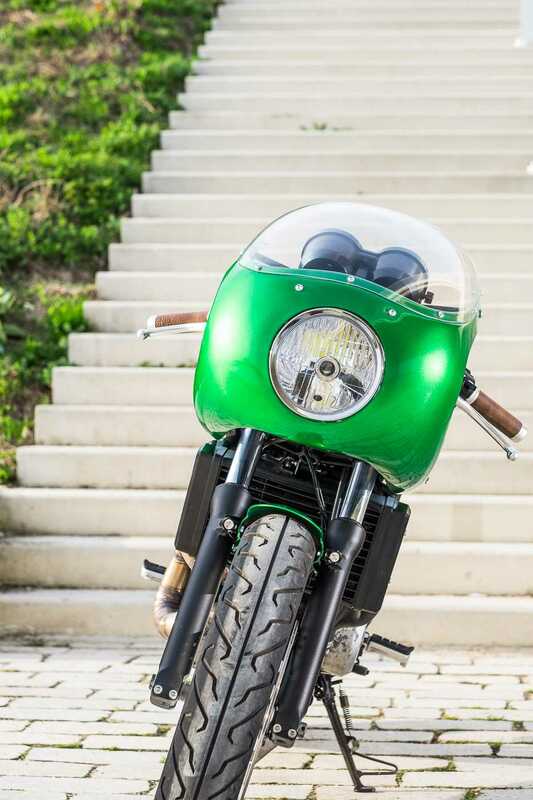 Café racer was the way to go! The original frame was first of all chopped and stripped of all unnecessary parts. Furthermore a new subframe was constructed for the new café racer seat. In addition to achieving a horizontal line in the bike, a top fairing was placed. And also a new seat was build in aluminium. A custom stainless steel exhaust system was made. It acts as an under spoiler and is also the silencer and most of all it sounds amazing. A massive 320mm wave disc was placed, together with a 4 piston brake caliper of a Yamaha R1 this results in more than enough stopping power. The entire suspension setup is rebuild by HK-suspension. It handles better than it did when it was new!